This Used BERTRAM-CARRIBEAN 5M boat for sale This popular fiberglass hull, built in the mid 1980s has had everything replaced. New 130HP Yamaha Saltwater Series 2 stroke outboard with only 20hrs, new galvanised trailer with brakes and 12 months rego, all new wiring/battery and radios, all new upholstery and carpet, bimini, storm cover, 2.5M wakeboard pole, Humminbird sounder/fish finder, rod holders, new walkthrough windscreen, anchor/chain/rope, life jackets and safety gear. 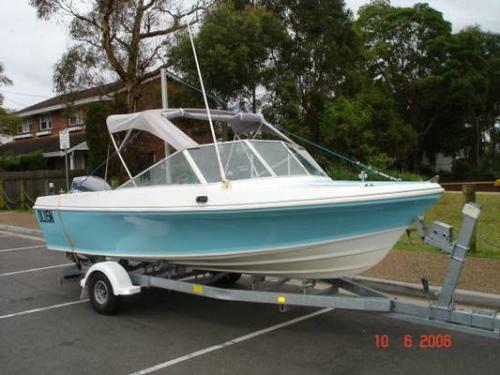 This is a great all-round boat ready to launch and enjoy immediately. Regrettable sale.